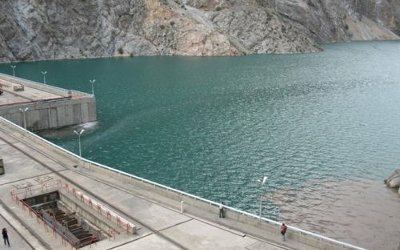 AKIPRESS.COM - Central Asian countries are the world “leaders” in inefficient water use, among the highest per capita users of water in the world. More than 90% of the Aral Sea has vanished, 70% of Turkmenistan has become desert, and 50% of Uzbekistan's soil has become salt marshes, reports the science journal Nature. Turkmenistan uses about 5.5 thousand cubic meters of water per capita, which is the highest rate in the world. This is four times more than, for example, the United States uses, and 13 times more than China. Uzbekistan and Kyrgyzstan, consuming about 2 thousand cubic meters of water per person, standing in the world rankings spenders of water on the 4th and 5th places respectively. Tajikistan and Kazakhstan are located on the 7th and 11th places. The countries of Central Asia also take leading positions in water use per $1 of GDP. Tajikistan takes first place in this ranking, using almost 3.5 cubic meters of water per dollar of GDP. Kyrgyzstan, Uzbekistan and Turkmenistan are on the 2nd, 4th and 6th places respectively. For example, Turkmenistan uses 43 times more water than Spain to produce one GDP dollar. Most of the water from the Amu Darya and Syr Darya rivers is spent for the needs of region's economies, as a result of this extremely inefficient use of water resources, and the Aral Sea is rapidly drying up. In fact, Central Asian countries have plenty of water relative to their populations. The annual availabilities of fresh water per capita for the Amu Darya – 2,087 cubic meters, and the Syr Darya – 1,744 cubic meters. By comparison, Germany has 1,878 cubic meters of water per capita. The central Asian countries must find joint interests and competitive advantages to build a new regional economy, with wise water use at its heart, otherwise, the region can be threatened by enormous challenges, including environmental, economic and social degradation, as well as the war for all shrinking resources, the Nature added.